If you’re interested in hair design, you can learn the art of cutting, colouring, chemical curling and hair analysis. Or maybe beauty is more your thing - learning the art of manicures, pedicures, make-up, salon treatments and more. In the hair and beauty courses at Bendigo TAFE, students learn skills in communication, client services, operating equipment and technology, interacting with customers and selling techniques. 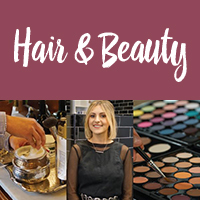 With a purpose built operational training facility​, Lotus Hair and Beauty provides students with an industry environment in which to achieve their qualification.